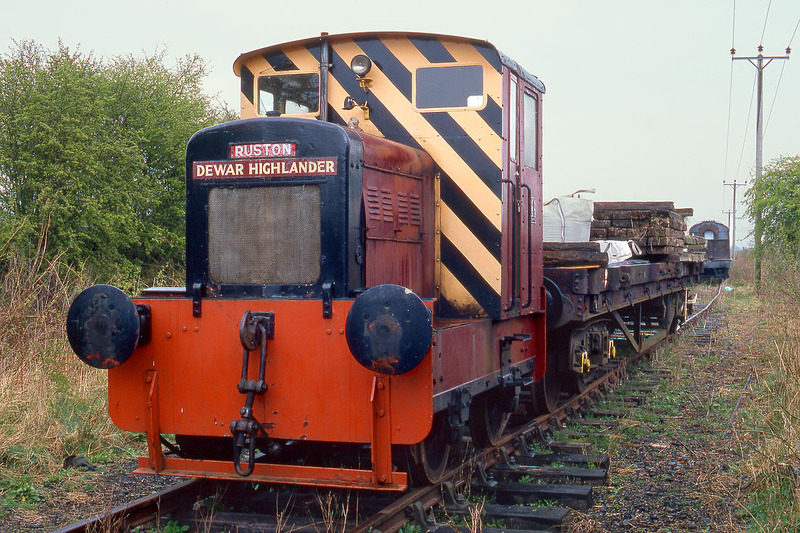 1961 built Ruston & Hornsby 0-4-0 458957 Dewar Highlander stands in the drizzle at Bridge of Dun on the Caledonian Railway on 21 April 2003. The Caledonian Railway gets slightly overlooked, as it is situated a little off the main tourist routes. It runs from Brechin to Bridge of Dunn, in the gently rolling hills between Forfar and Montrose.